-This is a listing for an 11 oz., white ceramic coffee mug. -It is microwave safe and dishwasher safe with a mild detergent. -Design is printed on both sides of mug. -Floral bouquet comes as is. 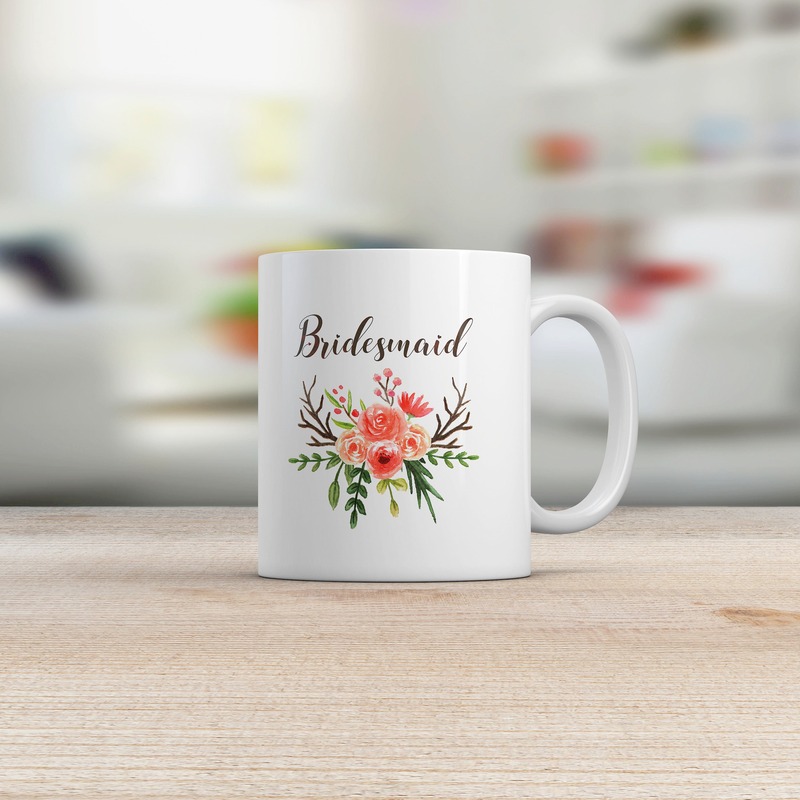 -Choose the recipient: Bride, Bridesmaid, Maid of Honor. If you need one that says "Matron of Honor", just ask and I can create the design for you. 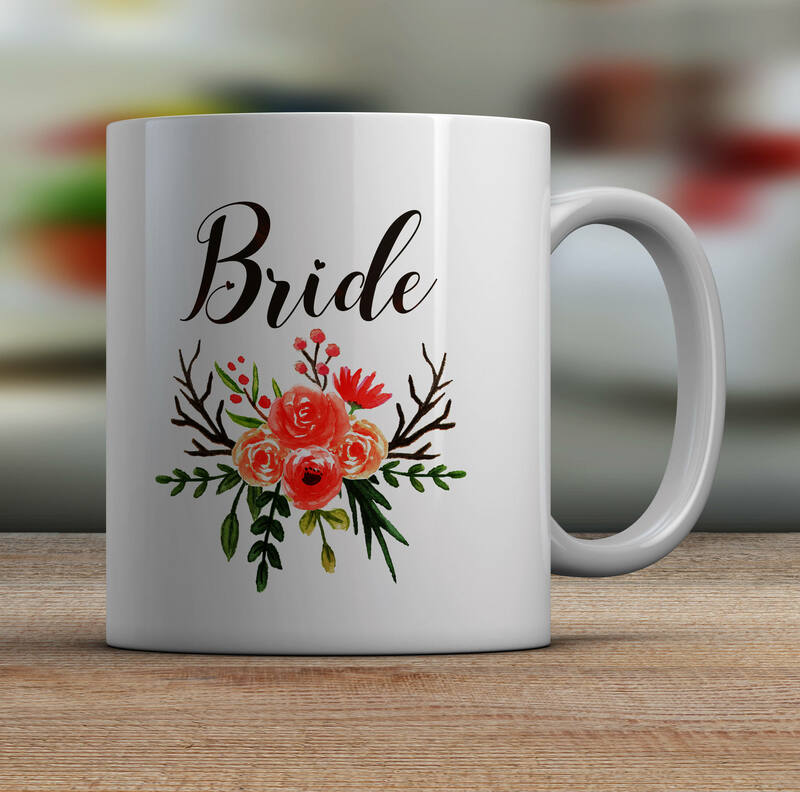 Mug is made to order within 3-5 business days purchase. Shipping times vary, but you should expect 3-10 business days (14 during holiday periods) for ground shipping via USPS. Colors may vary slightly due to variety in computer monitor settings.